Since FIRST started, there have been 18 different FRC games, each with different rules, arenas, objectives, and strategies. FIRST has given many students the opportunity to showcase their skills in an exciting arena. The games are designed to mimic the teamwork, strategy, and competitive nature needed to succeed in sports. Besides the FRC competition, FIRST also conducts the FIRST LEGO League, Junior FIRST LEGO League, and FIRST Tech Challenge. Having multiple challenges enables FIRST to extend their vision to all age groups. 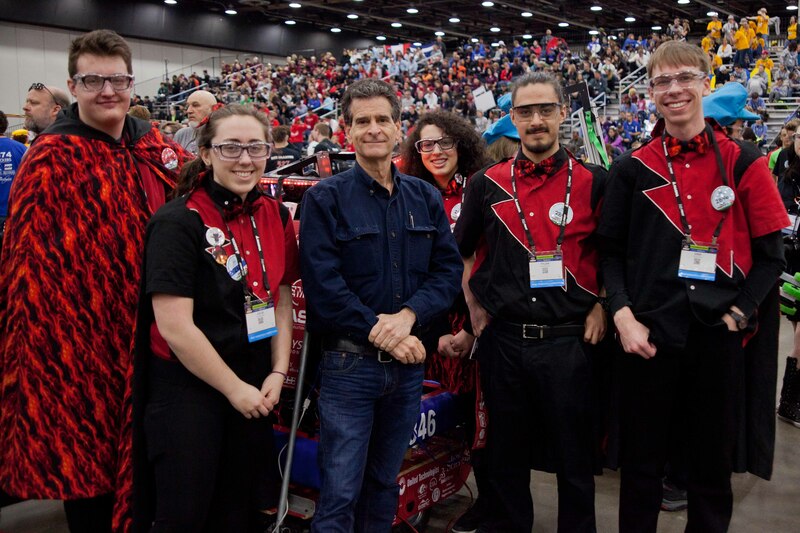 Dr. Woodie Flowers, a professor at Massachusetts Institute of Technology coined the term Gracious Professionalism to explain his vision of FIRST’s ethos. It is meant to combine fierce competition with mutual gain in order to teach life lessons to students active in FIRST. Students are taught that although competing with other the other teams, they should treat their competitors with kindness and respect.